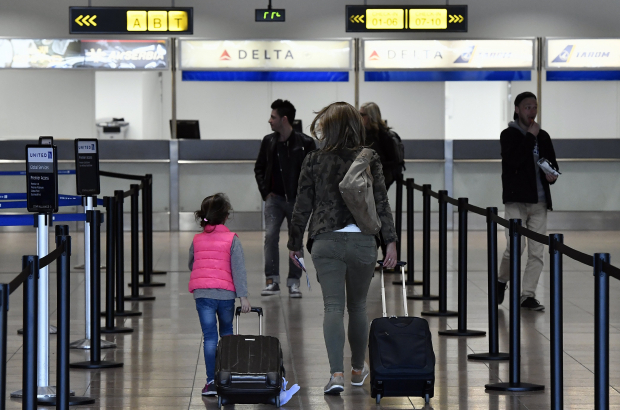 Brussels Airport is making changes to its short-stay car parks from next month - including stricter time limits for dropping off and picking up passengers. The drop-off zone close to the terminal entrance will be fitted with automatic barriers. Drivers who outstay the 10-minute limit will be fined €10 and €2 per minute. Driving off and returning within an hour will also be banned. Airport management said the drop-off zone was being abused by drivers, who would leave their cars there and head into the arrivals hall to wait for their passenger. Nearby spaces P1, P2 and P3 will offer 30 minutes of free parking. But to benefit from this, vehicle owners must apply for a free card from the airport website in advance. Without a valid card, parking in the immediate vicinity of the airport will be charged at €2 per half hour. The changes come into effect on 6 Febuary.